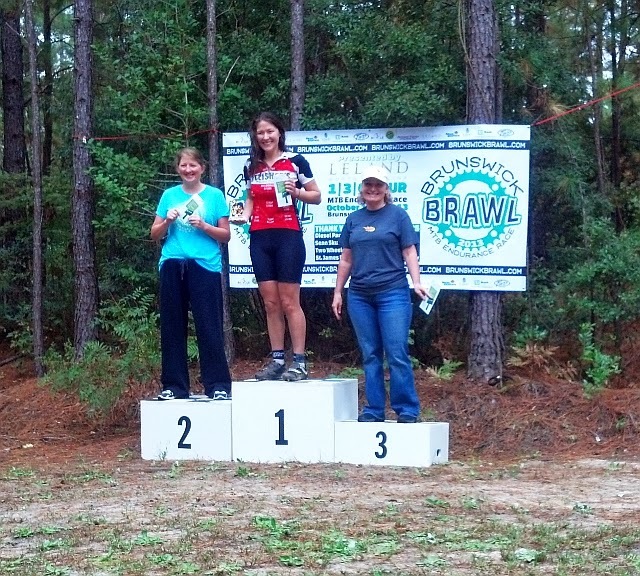 The Brunswick Brawl Mountain Bike Race was today, and I once again entered the 3-Hour class. I didn't make the cutoff time for a fourth lap so had to settle for three laps again this year on the 9-mile course, just like the 2012 event. 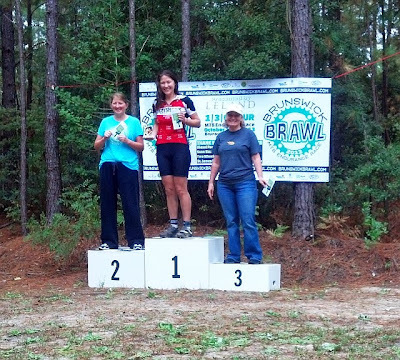 However, I did manage to cut a half-hour off my last year's time and still got a third podium spot (out of five entries with some incredible female riders) including cash payout! Also, the weather and trail were just perfect, so all in all I'd call it a very good day.